Sawyer Audiology provides hearing care, hearing aids, and hearing protection in Corpus Christi, Texas. Formerly McLelland Hearing Aids, Sawyer Audiology is the only office in Corpus Christi to have a Doctor of Audiology, providing genuine personal attention with technical ability and professionalism to solve your hearing problems. Dr. Ryan Sawyer will help you understand your hearing loss, causes, and best treatments. He will also discuss ways to preserve your hearing to avoid further hearing loss. 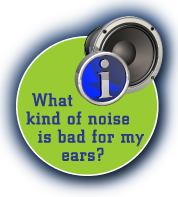 Sawyer Audiology consistently offers the most realistic solutions to improve your hearing. Call us today! • Click here for Across America Hearing Check Challenge online hearing test. Sawyer Audiology is the only hearing company in Corpus Christi offering the services of a Doctor of Audiology. Click here to find out why Audiology is important in evaluating and treating hearing loss and hearing disorders.